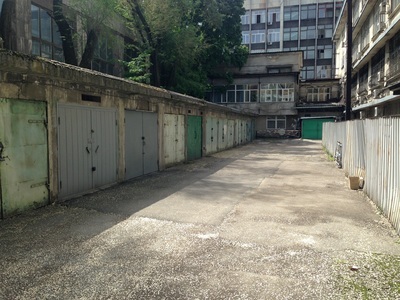 These days, though, many of the sheds may very well sit empty, as the age of widespread car ownership has made the garage the mainstream storage space. 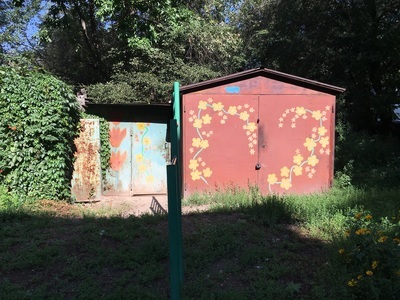 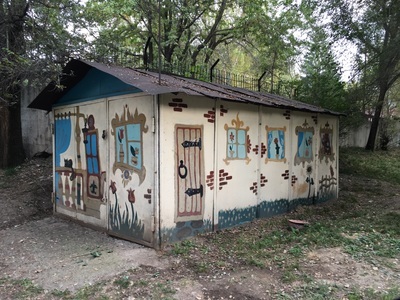 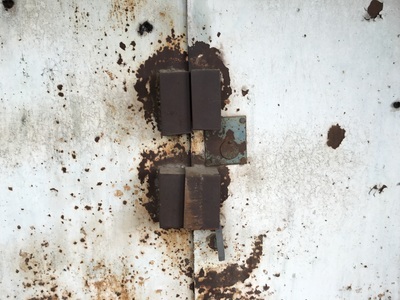 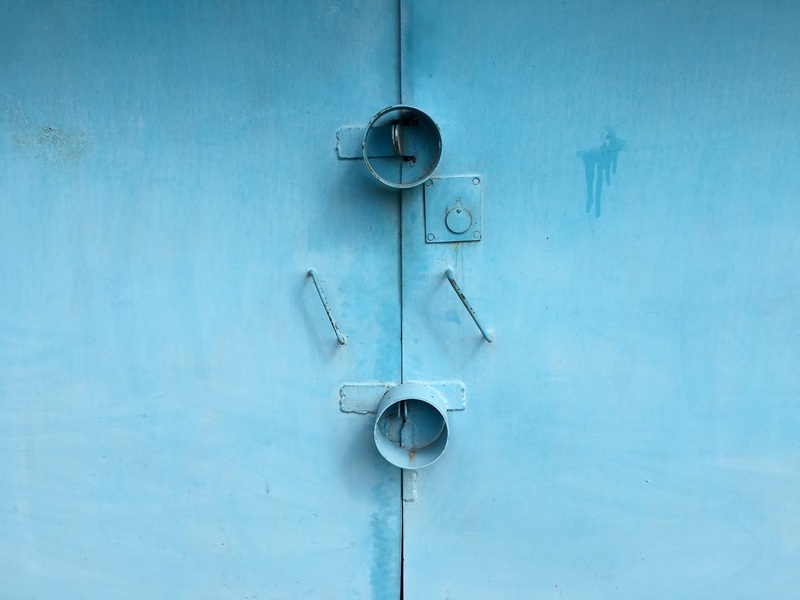 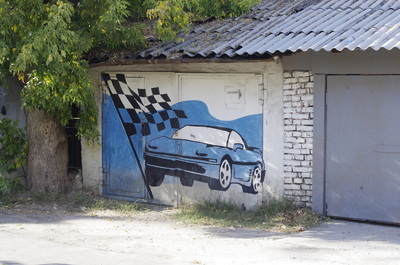 The garage of my childhood was a home unto itself, built to fit a family's collection of cars and assorted junk, accessed through a garage "door" that was more like a giant retractable wall. 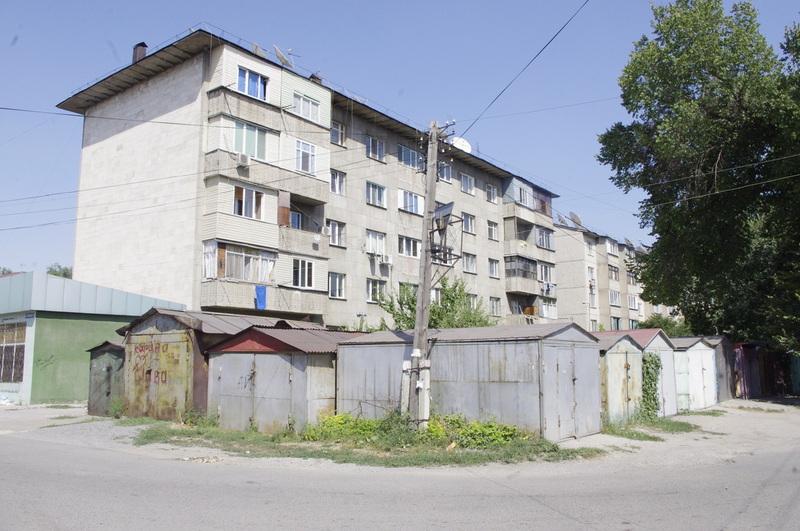 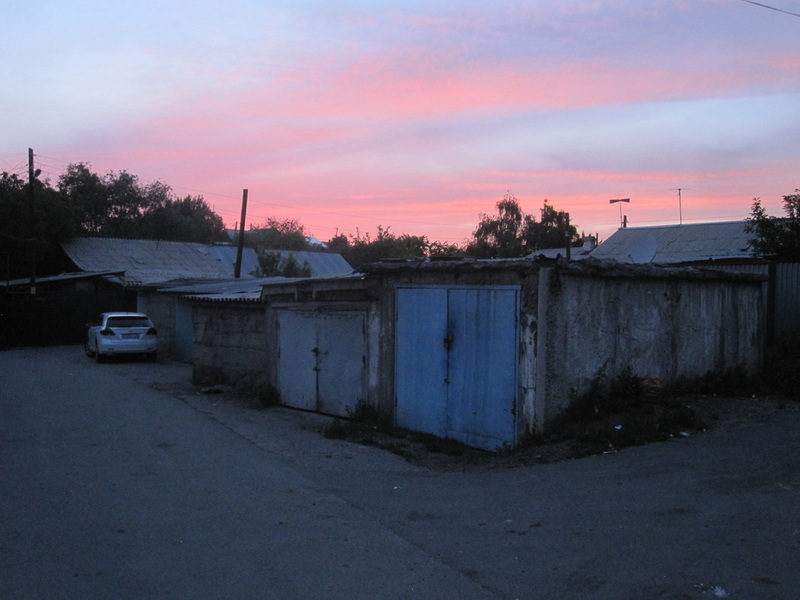 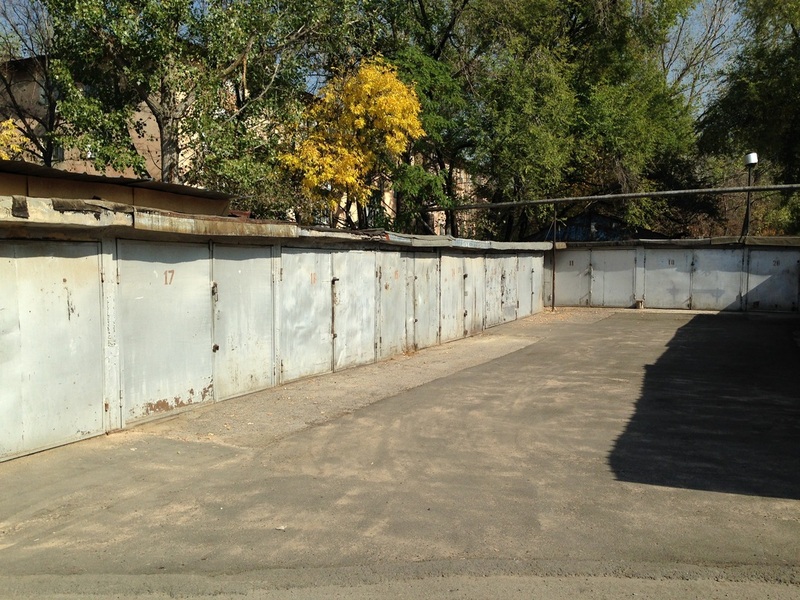 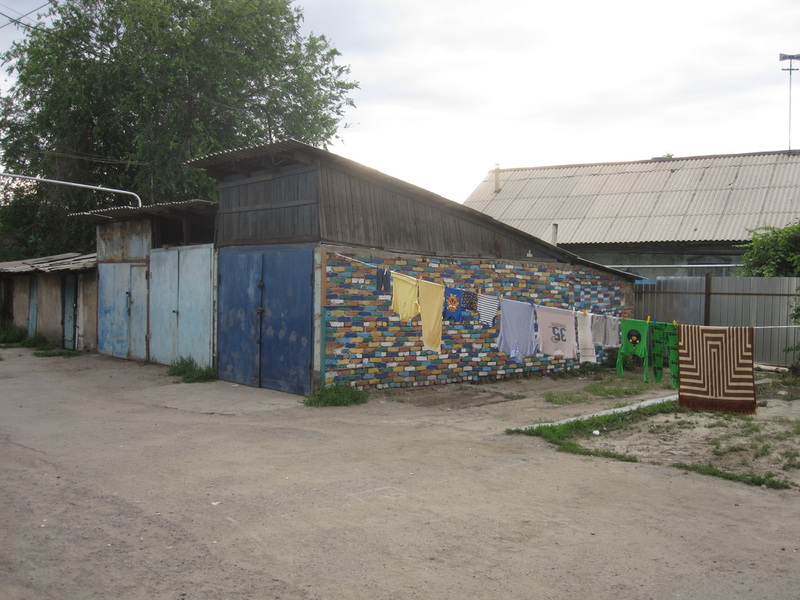 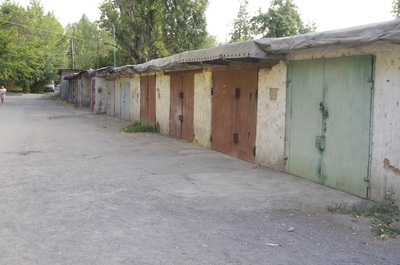 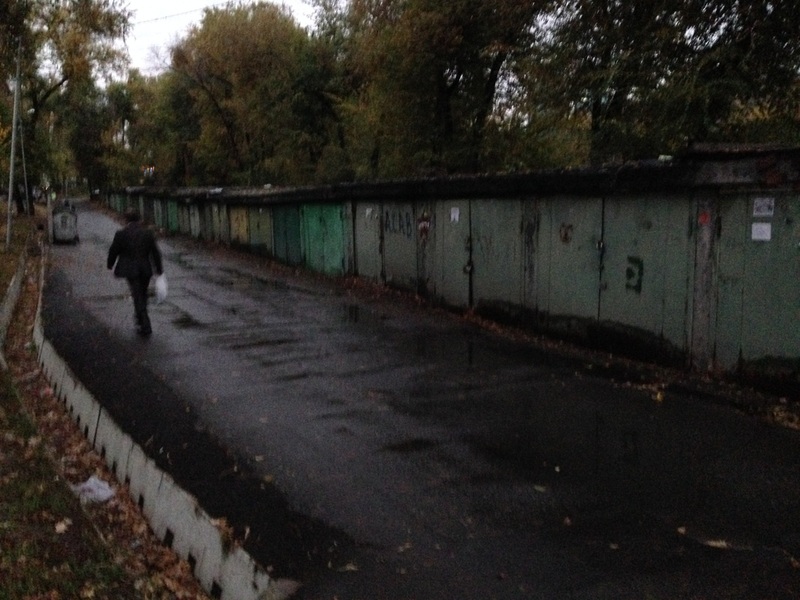 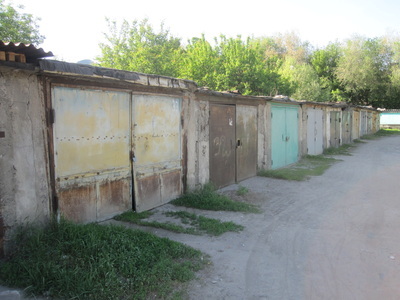 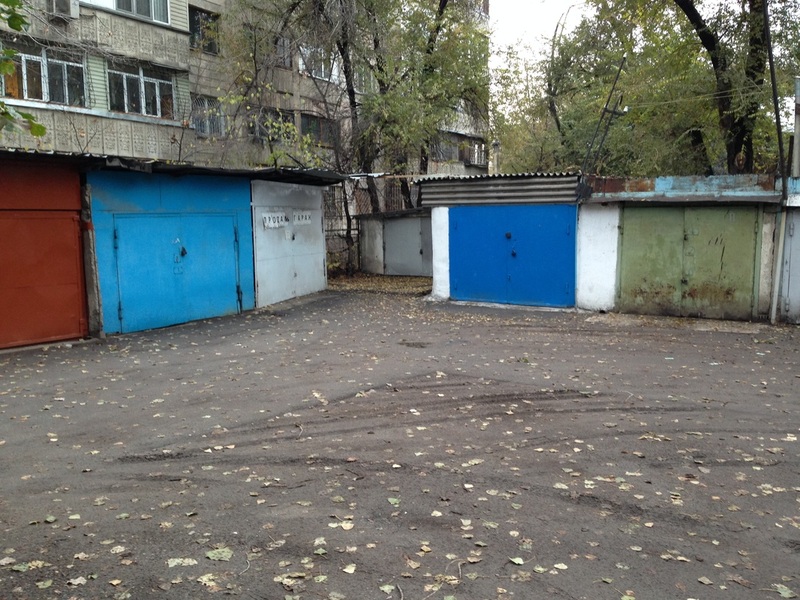 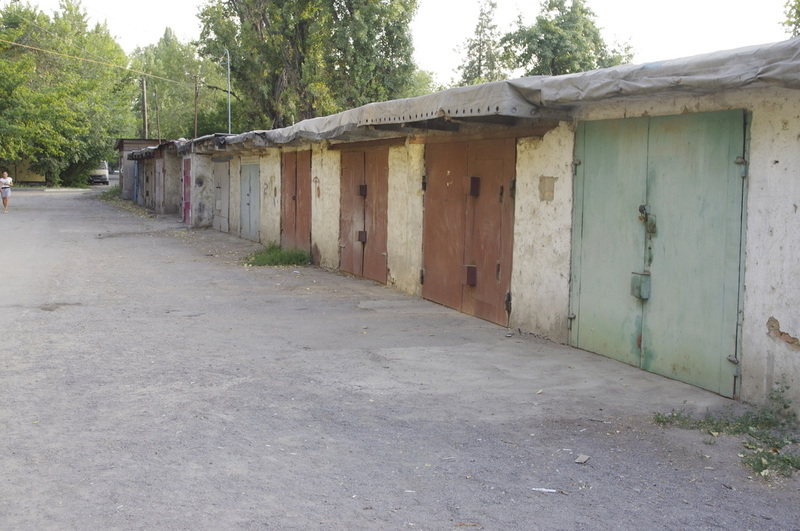 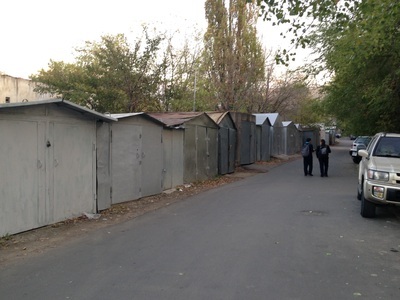 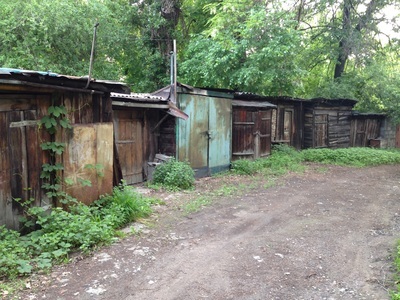 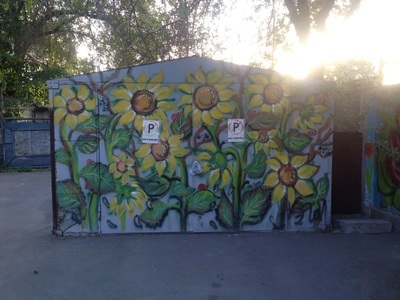 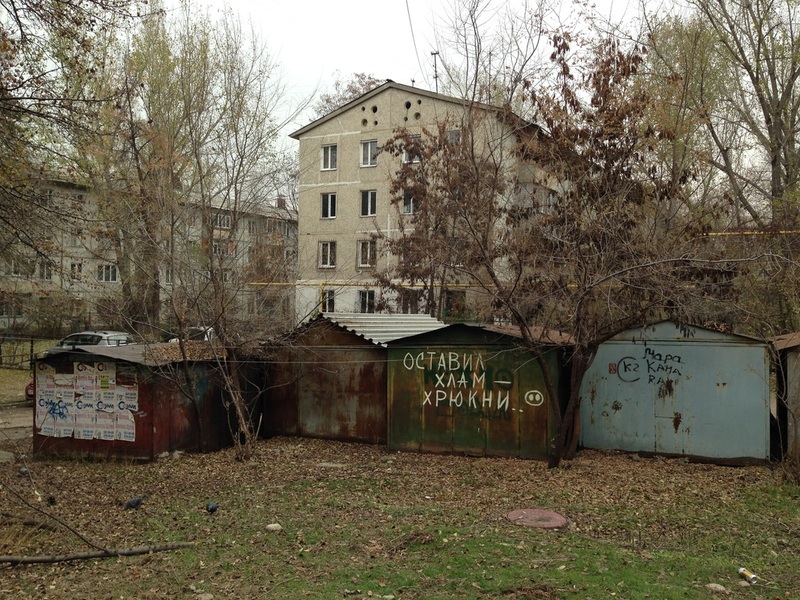 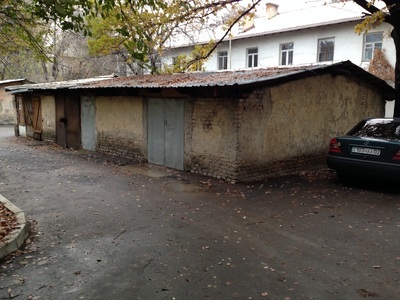 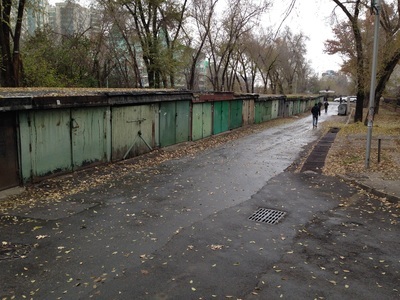 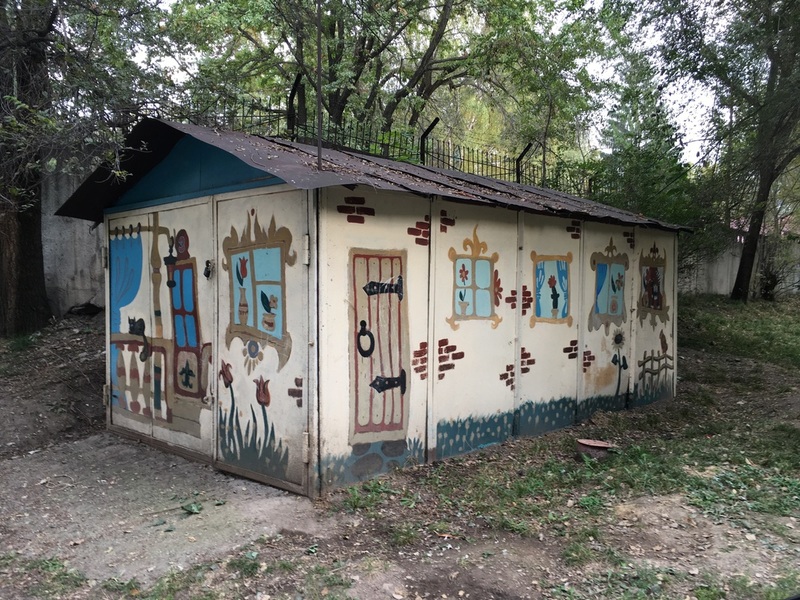 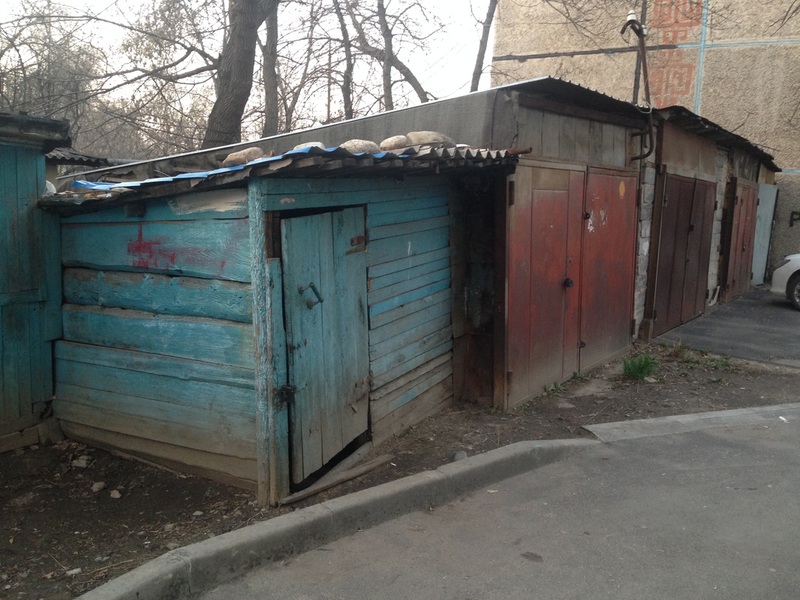 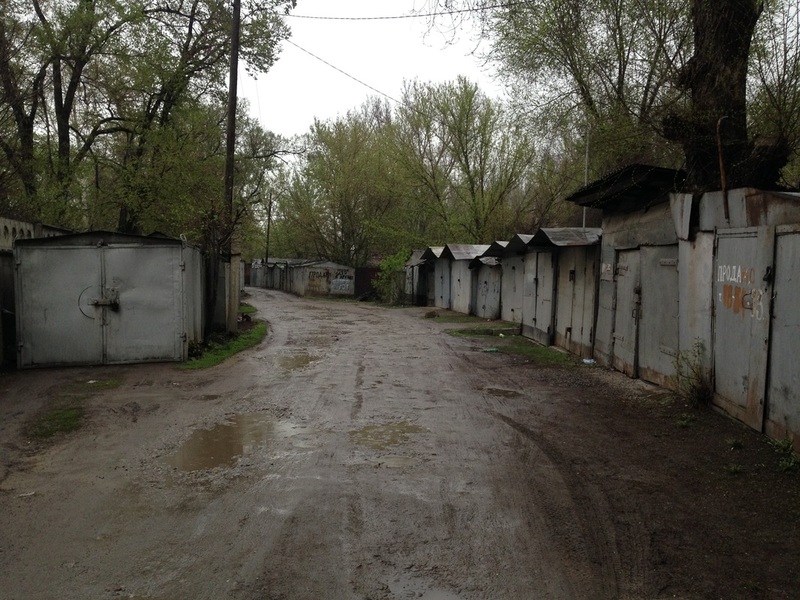 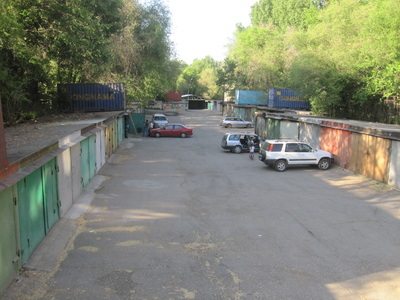 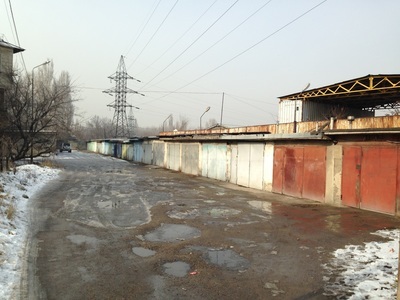 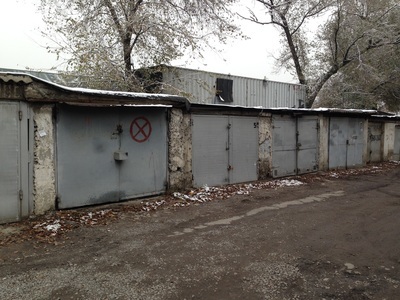 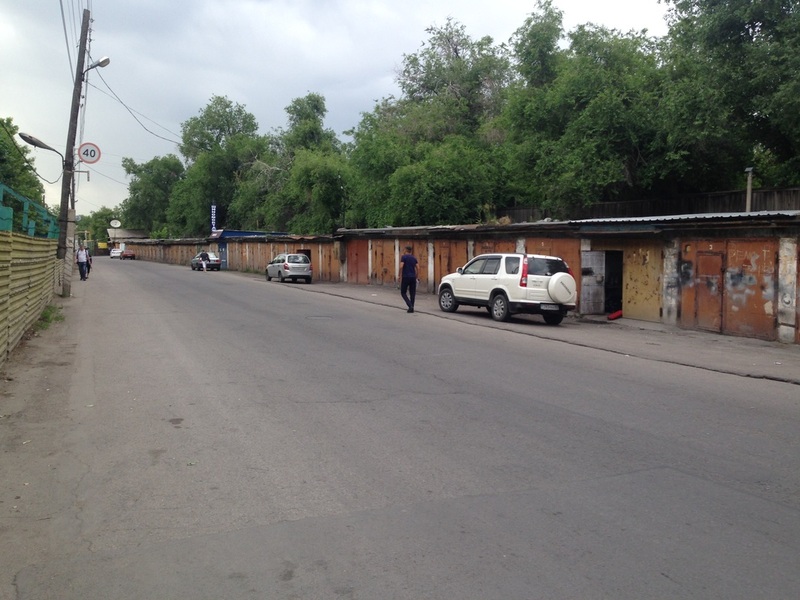 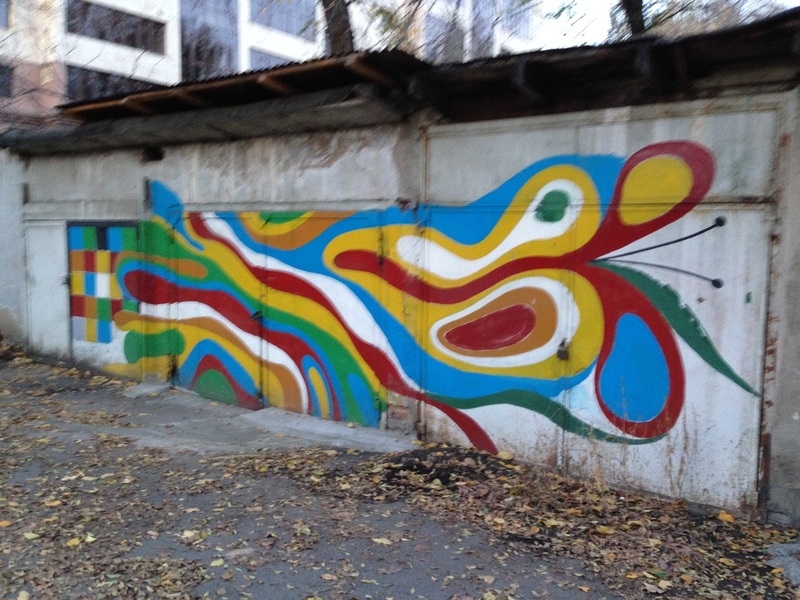 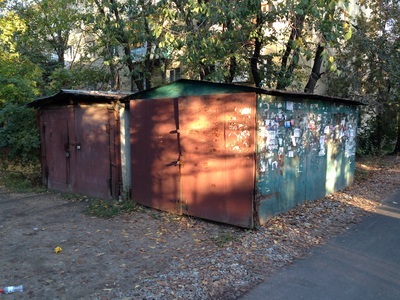 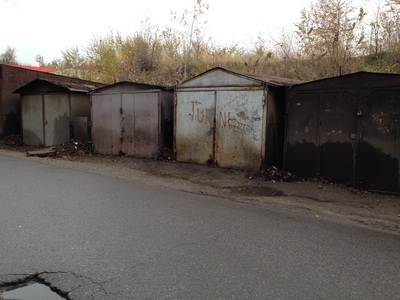 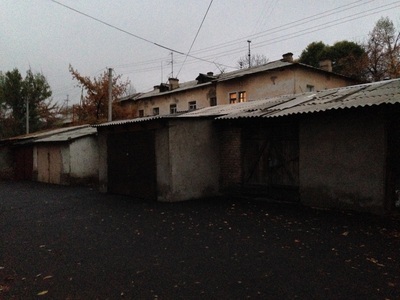 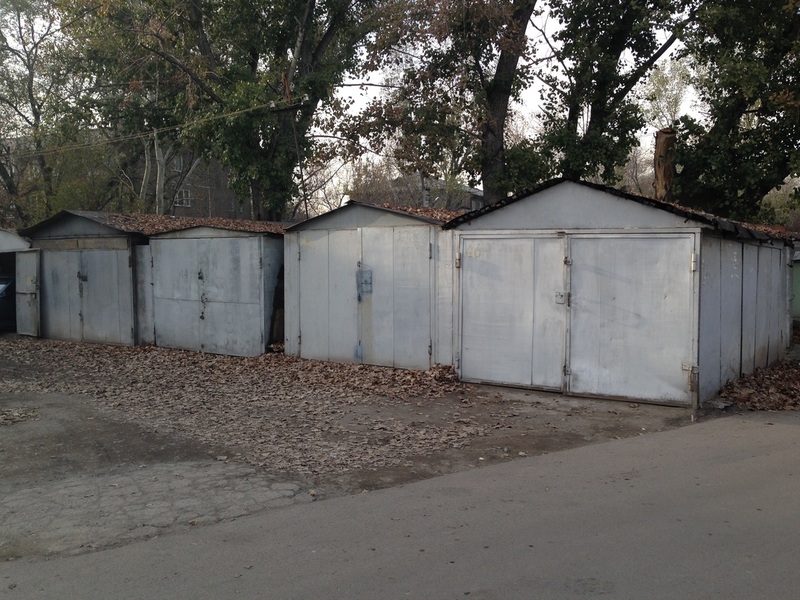 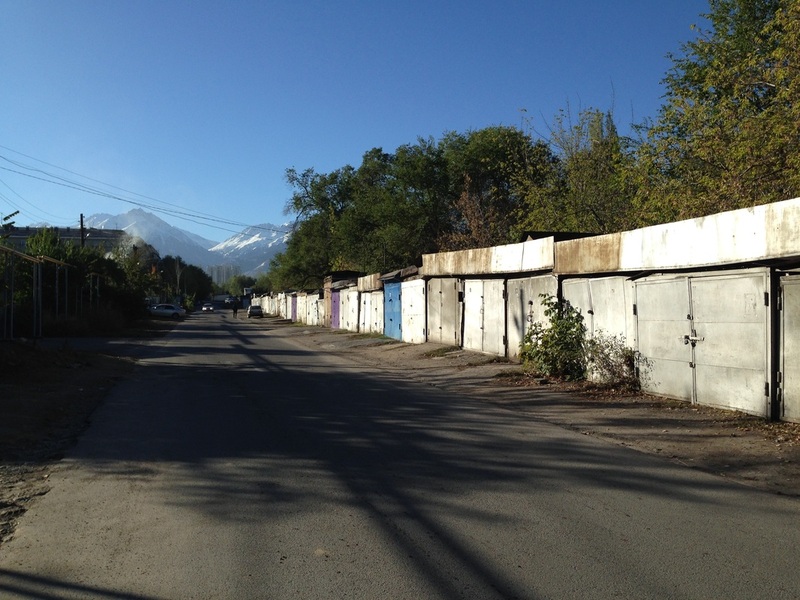 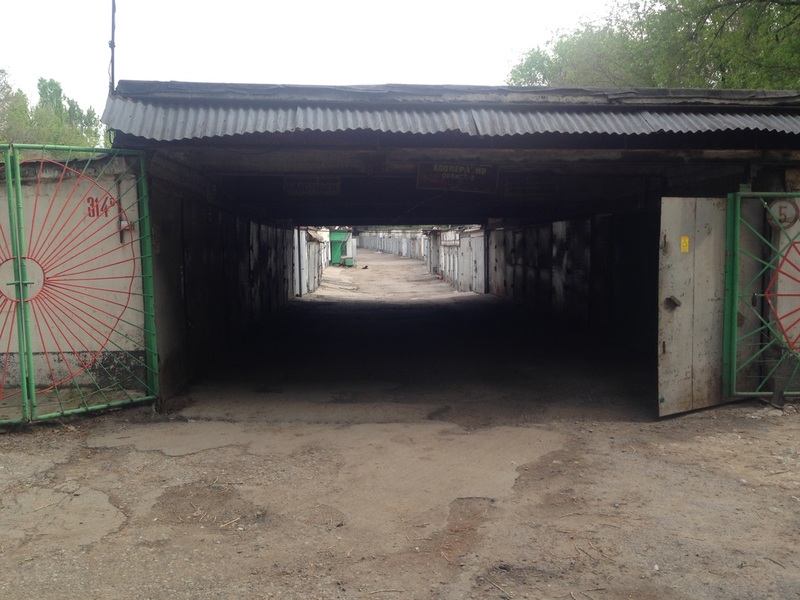 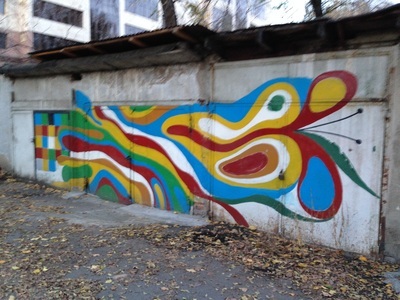 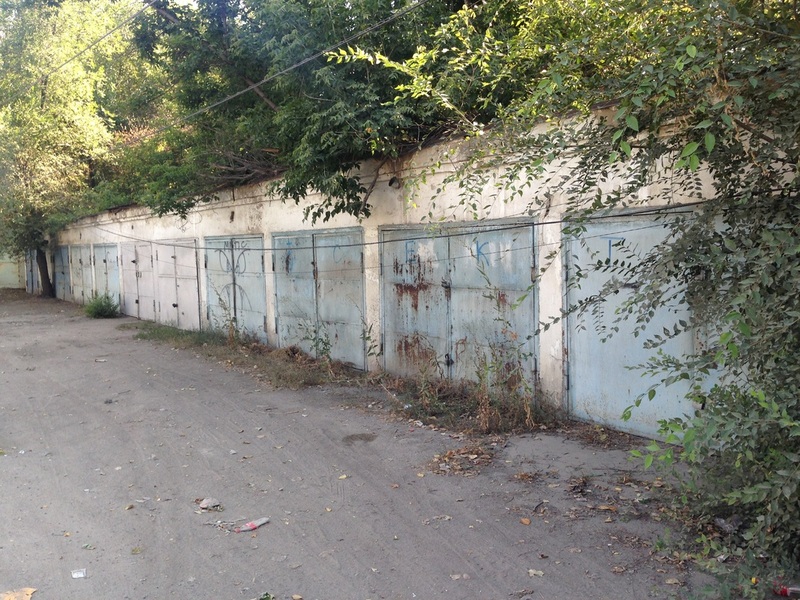 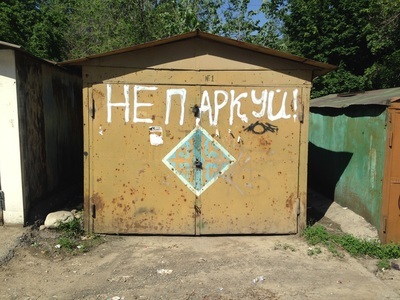 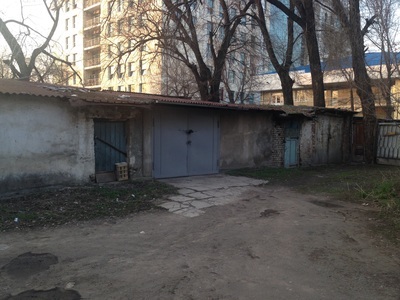 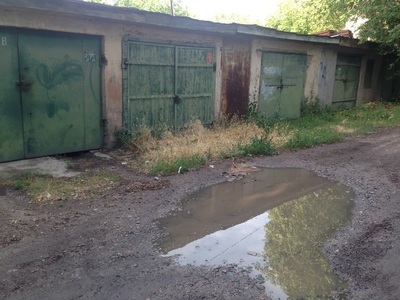 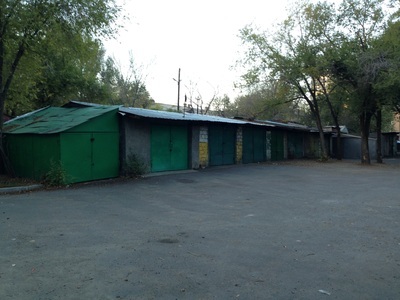 In comparison, Almaty garages seem barely big enough for a bicycle; it's a wonder that people can squeeze their cars into these tin cans (in Russian they're often nicknamed "seashells" (ракушки; rakushki) for their diminutive size and protective function). 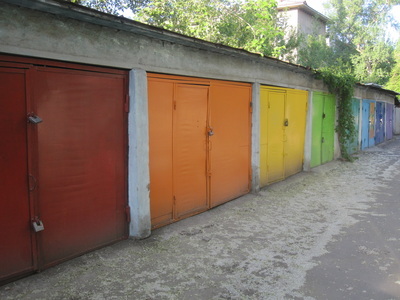 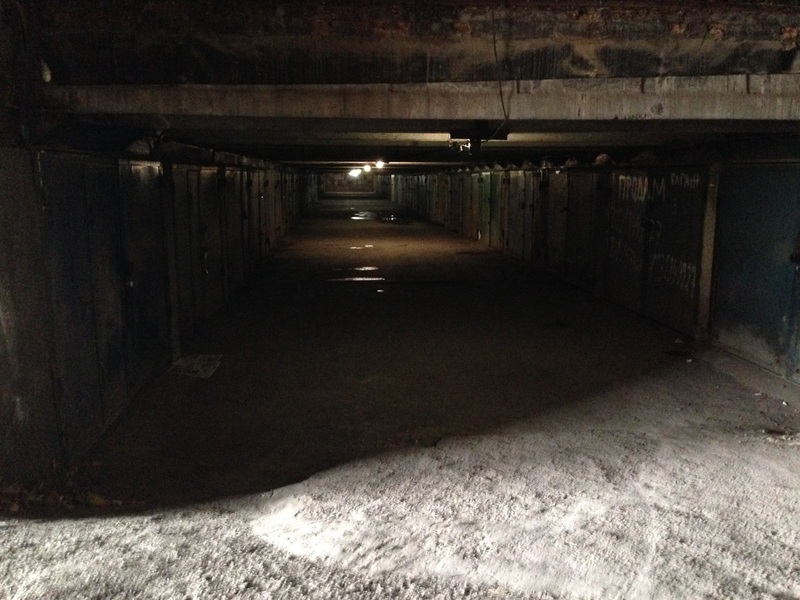 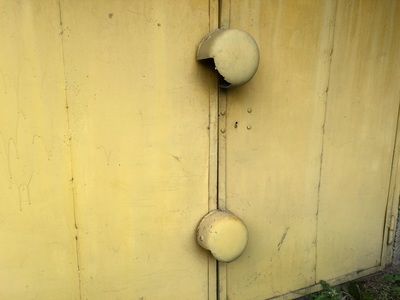 Though they may be tighter for space, garages here at least have a bit more charm. 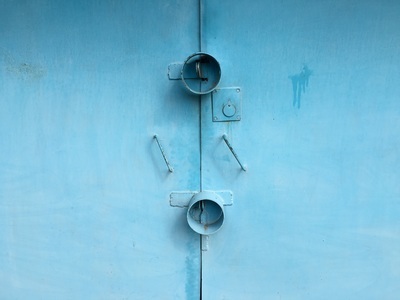 A diligent courtyard explorer can find garages painted rainbow colors or decorated in children's chalk. 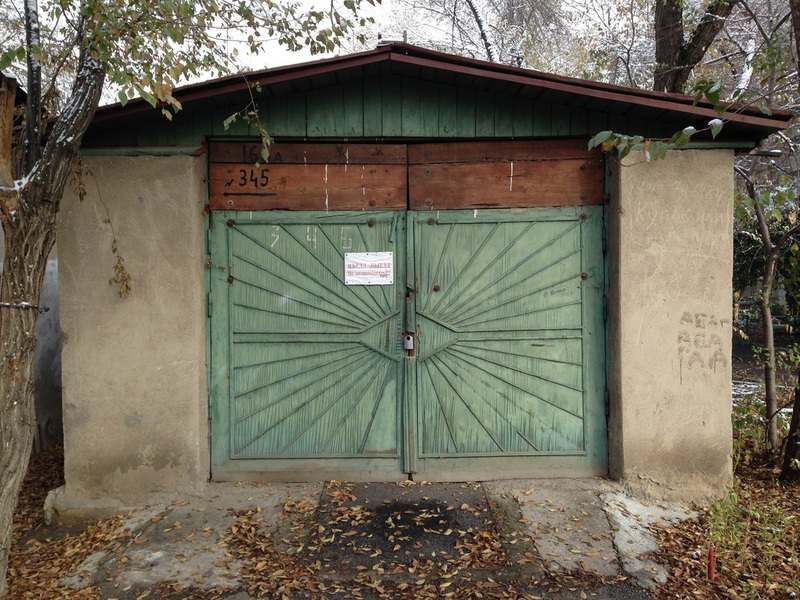 The most common accessory, though, is the hand-drawn sign screaming nye zagorazhivat [не загораживать]…"Don't block!"